The House of Representatives is expected to vote this week on a bill that would reduce federal revenues by roughly $1.5 trillion over the next decade. Despite the bill’s high price tag, many households would pay more in federal tax if the bill is enacted, in large part because it slashes the deduction for state and local taxes paid by 88 percent. The hardest hit states, in which more than 1 in 5 taxpayers would face an overall increase in their tax bills, include Maryland, California, New Jersey, Connecticut, New York, Utah, Virginia, Georgia, Hawaii, Massachusetts, Oregon, and Illinois. The House bill eliminates the deductions for state and local income and sales taxes, and instead only allows the first $10,000 in property taxes paid to be deducted. In recent days, there has been some discussion of whether that $10,000 cap is high enough. But this discussion ignores a more fundamental point: regardless of the cap amount, most taxpayers will lose the ability to write-off their property taxes entirely because without the deduction for state income taxes, their total package of “itemized deductions” will be smaller than the standard deduction. This will result in a worse deal than current law for many taxpayers even though the House bill makes the standard deduction more generous. 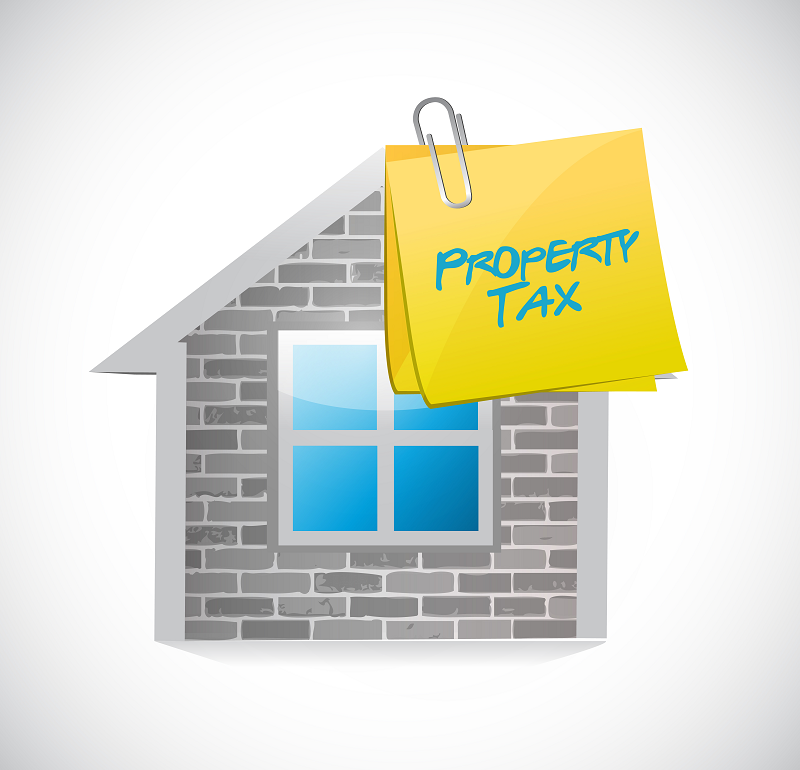 A new 50-state analysis, produced using the ITEP Microsimulation Tax Model, reveals the extent to which taxpayers in each state would lose the ability to deduct their property tax bills. Nationally, more than 28 million households would stop writing-off their property tax payments, including 2.7 million households in California, 1.6 million in New York, and just under 1 million in New Jersey. Middle-income taxpayers are more likely to lose their property tax deduction than their more affluent neighbors. In New York, for instance, roughly two-thirds (66 percent) of households deducting their property taxes today would stop using the deduction under the House bill, but that figure rises to 74 percent when looking just at the state’s middle-income earners. Higher-income households in New York would typically continue to deduct at least some of their property taxes, by contrast. Just 18 percent of this group would stop using the deduction under the House bill.